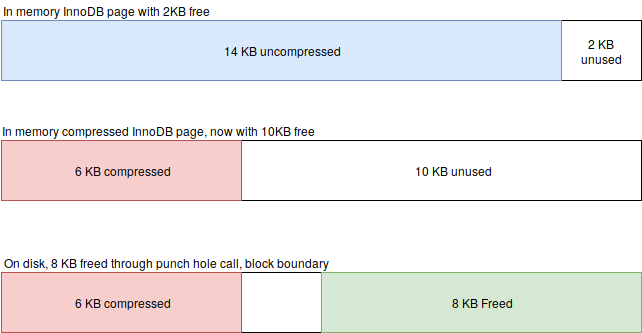 Transparent page compression was designed to be used with SSD. MariaDB version was even designed with FusionIO. Why do you insist testing it on HDDs especially when SSD / NVMe are the norms ? Very large datasets, where compression is required, still have HDDs more often than you would think but I do agree SSDs/NVMe is more the norm. The main issue was the environment I was using for these benchmarks and HDDs highlight the storage impacts more. I do mention you should run TC on SSDs. I agree with that. That’s why InnoDB Barracuda compression, RocksDB, ZFS are better solutions. I am not even sure xtrabackup would take care of the punched holes ! 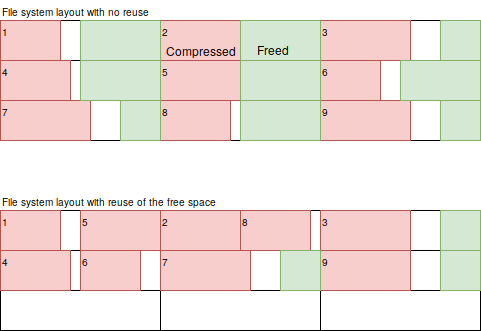 If you restore, the space would increase to its original uncompressed size ! The I64TCZlib results is the most compressed form.